So what does the Year of the Monkey mean? After Chinese New Year on February 8, the Year of the (Fire) Monkey begins in 2016. Sounds ominous, but don’t worry -- no need to arm yourself. Per the Chinese zodiac, most of us will experience a year of excitement and intelligence. But for those born under the Monkey sign, special precautions should be observed to avoid potential ill fortune. Winding down the Year of the Goat in 2015, a yin year of goal-oriented peace and steadfastness, the 2016 Year of the Monkey -- a fire monkey, at that -- is expected to shake things up a bit. The Monkey is in the ninth position of the Chinese zodiac and is considered to be a “yang” animal. The feng shui element is fire, making red and vibrant colors even more auspicious than usual. Monkeys are considered fiery and passionate in both romance and undertakings, however, they tend to bore easily and move on too quickly to the next big thing. Many famous writers, actors, directors, and inventors were born during the Year of the Monkey. If you’ve eaten in any Americanized Chinese restaurants, you may have seen the paper placemats with 12 animal signs that correspond to years of birth. Everyone wants to be a Dragon or Tiger; usually few at the table want to be one of the less popular animals such as the Rat, Snake, or Pig. But each animal sign possesses both good and bad characteristics and personality traits. Those traits are further affected by what elemental sign applies to each birth year. Although each animal sign comes around every 12 years, the entire zodiac operates on a 60-year cycle. Each year of birth matches with an animal and one of five elements: water, wood, fire, earth, or metal. Those are then determined to be either yin or yang. The Chinese zodiac is extremely popular, perhaps even more so than our familiar zodiac. Although few Western companies would consult a zodiac to determine auspicious dates for big deals and mergers, some modern-day Asian companies do! Even weddings and pregnancies are often timed fortuitously as a nod to tradition and a just-in-case wink at superstition. The Chinese zodiac is observed throughout Asia, however, some countries have made slight modifications. For instance, Vietnamese Tet coincides with Chinese New Year, however, the Vietnamese zodiac has a Cat instead of the Rabbit sign. Japanese New Year was changed to January 1 to coincide with the Gregorian calendar. Songkran, the Thai New Year, begins in mid April. Note: Because Chinese New Year is based on a lunisolar calendar rather than our Gregorian one, people born in January or February need to see if their birthday was before or after Chinese New Year that year to determine their zodiac animal. Are You Year of the Monkey? Some famous people born during the Year of the Monkey include Leonardo da Vinci, Sir Isaac Newton, Lord Byron, Harry Houdini, Johnny Cash, Tom Hanks, and Hugh Jackman. If you were born after Chinese New Year in one of the years above, then congratulations: you’re a Monkey! In Chinese mythology, 2016 is your ben ming nian -- zodiac year of birth. Contrary to what many people think, your zodiac year isn’t actually an auspicious year for big life changes. According to belief, you need to tread carefully to avoid accidentally offending Tai Sui, the Chinese god of age, and subsequently receiving bad fortune. 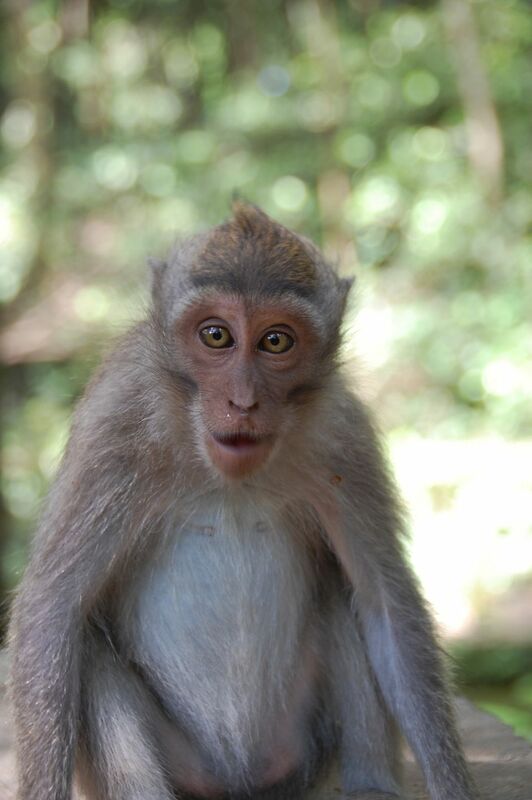 For 2016, Monkey-sign people should delay big endeavors such as marriage or starting a business. Consider adjusting the feng shui in your home and office; cardinal directions play a big part. To acknowledge the year, some Chinese people choose to wear something red throughout their ben ming nian to prevent potentially bad fortune. Choices for red can include jewelry (especially bracelets), socks, underwear, scarves, or just a red ribbon tied onto something. For maximum benefit from the red accessories, they should be purchased by someone else and given to you. Red is usually considered the most auspicious color for nearly any occasion because the word for red in Chinese (hóng) sounds similar to a word for prosperous (hēng). Also the nian, a dangerous beast in Chinese mythology, is thought to be afraid of the color red. People born in the Year of the Monkey can also opt to wear a piece of jade jewelry for better luck during their zodiac year.